Our Fair Oaks Historical Society has finally moved into its new home. We had a successful first opening on March 11th. Those who were present to greet our guests were Lois Frazier, Diana Lennon, Warren and Janet McWilliams. I want to thank all of you who helped with the move. We had help from the Fair Oaks Recreation and Park District employees Rick Vaughn, Kris Duck, Larry Alley, and Sam Reyna, who removed the door so we could get one large display case into the room. We also would like to thank Jim Hansen from the Fair Oaks Cemetery District. Many members of the Fair Oaks Historical Society helped including Lois Frazier, Gordon Heidt, Jim Pearce, Peter White, Joe Dobrowolski, Rose Anne Lamb, Marilyn Dupray, Bob Barrett, Diana Lennon, Gayle Anita, Warren and Janet McWilliams, Fran Sargent and June Melvin. I apologize if I have forgotten anyone's name. There will be a GRAND OPENING of the History Center on APRIL 15th from 1:00 to 4:00 p.m. We will have a number of invited guests, a ribbon cutting and refreshments. All are invited to attend! The Historical Society was nominated for an Outstanding Organization Award by the Fair Oaks Recreation and Park District. I have been notified that we have won the award presented by the California Association of Recreation and Park Districts. Thanks to all the members for working so hard so we could be nominated for this award. We also have a large project in November, our first real effort to raise funds for the renovation of the Old Fair Oaks Library as a permanent museum site . This will be a Soup Dinner with Maria Brugger as the chairperson. We all need to support her with lots of help to make this a success. There will be further details and a sign-up for volunteers at our meeting on the 24th. Program: April Lynn Farnham, curator and anthropological historian from the Roseville Maidu Cultural Center will be making a presentation on their Indian culture in Northern California. She will talk about the Nisenan-Maidu people in the 1830s and 1840s up to the beginning of the Gold Rush. She will tell about Maidu women in the 1900s who have been pioneers in preserving and revitalizing the culture including Lizzie Enos, Marie Potts, and Bertha Norton. Diana Almendariz AKA “The Tule Lady” and the grand-daughter of Bertha Norton will be assisting with the presentation. Two air minded Fair Oaks youngsters, Michael Mooney 3 1/2 and Michael Dupray 4 1/2 , and their dog Buster, were the object of a frantic search Friday, before they were found at the Fair Oaks Airport calmly watching the airplanes. The boys, who live at 4848 and 4832 Gastman Way, apparently left home around 9 a.m. Neighbors and friends joined in the search when the boys were missed but the youngsters were nowhere to be found. Finally around 2:30 pm Fair Oaks firemen were called and joined the search. Questioning of residents in the area resulted in a lead. Mrs. Jakotich of Sunset Avenue had seen two boys and a dog which fitted their descriptions on Sunset Avenue near Hazel. Firemen followed this lead and found the trio calmly enjoying their day at the airfield. Firemen returned two tired little boys and one dog to their homes late in the afternoon, little the worse for wear except for wet feet. In 1955 the American River flooded so high that Fair Oaks Blvd by the Wedding Chapel had 3 feet of silt on it. There was a new house in town with three feet of water in it. The owner just built the house and was so distraught that he committed suicide. The water also came up Pennsylvania Avenue and met Magnolia. The American River rose again in 1986 and 1996-1997. In December 1996 and January 1997 the water rose to the bottom of the old bridge. In 1956 the Folsom Dam was completed to prevent flooding. The plans to build the damn started in 1931. The wheels of government roll slowly. Bob talked about the history of the dredgers that dredged the areas South of Fair Oaks and the last dredger which was down Sunrise Blvd towards McDonald Douglas. One of FOHS members spoke of the bombs in 1974 at the Roseville rail yard. Her father worked for the railroad and it was many hours before her family knew that he was okay. When the bombs went off in 1974 at the Roseville rail yard, it was during the Vietnam War and was felt and heard in Fair Oaks. It was a very freighting experience for all. In the early 1990’s two more bombs went off that were missed in 1974. Luckily, in both disasters, no one was killed or injured. Betty remembers the freeze. She was born on December 11, 1932. She remembers the freeze of 1932 from stories that were told her by her father. Her father purchased property in Fair Oaks and had orange groves. However, in 1932, the freeze killed the entire orange grove. Her father cleared the land and this is how he became a dairy farmer. The farm was known as the Fair Oaks Dairy. Betty use to stop traffic on Winding Way to drive the cows home for milking. After the freeze, an oldtime member went around and offered to remove all orange trees for 10 cents apiece. He did not have enough money and chose to leave his grove in place. 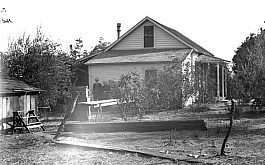 Today his Orange Grove still stands near Kenneth and Sunset in Fair Oaks as one of the few old growths of orange trees in the area. Lowell told of waking up to the fire of the Fair Oaks Woman’s Thursday Club. When he noticed that the Thursday Club was on fire,there was nothing that he could do but watch the beautiful building burn. He and his family watched from their home which was located west of the fire across which is now Sunrise Blvd. Lois was not home when the Buffham house burned down in 1967. However, her son Bruce was home and used his Brownie camera to take pictures. The pictures he took were used by the Sacramento Bee. They are the only known photos of the house in flames. This was a great loss of one of Fair Oaks’ landmarks and is still spoken about today. In 1976, the Shire Road Pub burned down. The Shire Road Pub was known as a place where local musicians could play the new sounds of the 1970’s. There were a number of bands that got their start at the pub. In 1974, the Beau Brummels’ original five member group got together there. 8 shows were booked and then taped. With the magic of current technology, their first major release can be brought to life. These three women delivered a short history of the Fair Oaks Women’s Thursday Club that was both interesting and entertaining. The Fair Oaks Woman’s Thursday Club is a large part of Fair Oaks’ history. The History Center is now located in the "FIRESIDE ROOM" in the Community Club House on California and Temescal Streets. We will still be open the 2nd Sunday of the month from 1;00 to 4:00 P.M. We are looking forward to having the Center open once a month during the week also. More on this later. Our Grand Opening will be on Sunday April 15, from 1:00 to 4:00 P.M. Refreshments will be served. This year the Fair Oaks Spring Fest (Fiesta) will be on May 5th & 6th. The History Center will be open on both days. Docents will be needed for 2 hour shifts from 10 A.M. to 4:00 P.M. A sign up-sheet will be available at the potluck dinner. 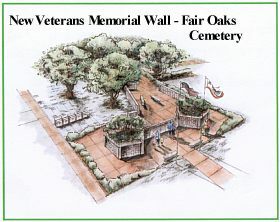 The Memorial Day Celebration at the Fair Oaks Cemetery will be Saturday May 26, at 10;00 A.M. This year will honor POW/MIA'S. There will be speakers, music, ceremonial hot rod, and the dedication of the Veterans' Memorial Wall. The Historical Society and the Orangevale/Fair Oaks Grange will furnish cookies and punch. We will need 15 people to bring two dozen cookies. Sign up sheet will be at the Potluck. Evelyn Heim has given the History Center a copy of the Ricketts/Heim family history dating back to the 1600's. The book has early 1900 pictures of their property at San Juan and Winding Way. If you would like to be a docent call Lois at 967-2967. The FOHS was saddened to hear of the passing of Henry Kroeger on February 27 of this year at age 91. He had attended our October meeting after donating an original copy of The Fair Oaks Citizen newspaper from 1909-13 to the Society. His imprint on our community and philanthropy will be long remembered. 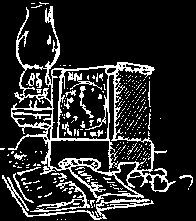 In spite of the holidays, vacations, museum moves, three-week-colds, and other distractions, the web group did make some progress since the last newsletter. First, thanks to Joe Dobrowolski for cataloging all the 1910'ish glass plate negatives and matching them up with the proofs. That paves the way for moving the glass plates to the Sacramento Archives where they'll be MUCH safer. 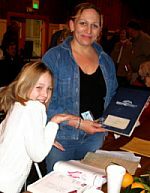 Next thanks to Sherry Wood for all the scanning - in case you haven't noticed, we've put the three Fair Oaks historical books on the website (Early Years, Memories, and Heart of California) for easier access by researchers and the enjoyment of our members. And third, thanks to Meg Smart for loaning us her newly acquired collection of Fair Oaks photo post cards and allowing us to scan the images to add to our collection. Some of the images are on the website in the "Photo Gallery" section. Lastly, I've been working on a pet project, Fair Oaks Historical Maps, and have the web pages out for review. I will have the first phase up on the website by the time this newsletter reaches you, so take a look. As always; comments, corrections and suggestions are welcome to any of the FOHS Webgroup - Joe Dobrowolski, Jim Pearce, Sherry Wood and Ken Steen. While working on the Museum Inventory Project, I was checking the quality of two photos of Fair Oaks' founding fathers, the "Chicago-Fair Oaks Association." The photo on left was supplied for the new Fair Oaks book by the Presbyterian Church, and the one on the right was from the wall at the Museum. When I put them side by side, what a surprise! Are the photos the same? If so, where did Dr. Buffum and Mr. Straith go? Were they retouched out of the photo for some reason? Certainly, the photos are identical with the exception of the missing Buffum and Straith. The position of the men's hands is absolutely identical in both photos. We suspect that the left photo is an original since the right photo has a fancy label at the bottom (not shown) listing the names of the men. So, probably, Buffum (left) and Straith (right) were added into the original. Both men seem a little bigger than the rest, which may have resulted from their individual photos being added in, and the lighting on Straith's face doesn't quite fit. The clincher is that Straith should show legs beneath the chair of the man in front of him, and they just aren't there. All the men were wealthy and spent time in New York and Washington D.C. as well as Chicago and California. So, it was probably impossible to get them all together for the photo and Buffum and Straith simply had their photo taken elsewhere and patched in later. Really, a pretty good job of retouching for those days. Thanks to Nancy Ott for the loan of a grinding stone one of her kids found in the American River and an early deed to Fair Oaks property she bought at auction. Both are on display at the Museum. The deed (actually called an Abstract of Title) is fairly long, some 67 pages and contains wording from previous title issues going back to the days of Howard and Wilson. It's pretty fragile, so we have it under glass, but we scanned a copy which is on top of the glass case and can be read. The attached Article VI of the By Laws is a proposed amendment to By Laws adopted by the membership at the October 2006 General Meeting. This amendment will be put to the membership for approval at the April meeting. Changes to Section 6.1 are consistent with the intent of the membership to have all committee chairs be members of the board. Sections 6.3-2 and 6.3-4 (a) are changed to provide for the larger number of board members. After the amendment is adopted, the By-Laws will be available on the Society's web site. If a hard copy is desired they will be available from the membership committee chair at the general meetings starting in July. 6.1-1 Members of the executive board shall be the president, vice president, secretary, treasurer, immediate past president, and the chairs of the standing committees chair of the history center preservation committee and chair of the membership committee. 6.1-2 They shall have one vote each. Each committee shall have one vote. 6.1-2 Chairs of the standing committees, other than the membership committee and history center preservation committee, will participate in the executive board meetings in an advisory and reporting capacity without voting rights. 6.2-1 Meeting at least once, no fewer than twenty four (24) days prior to a general meeting. 6.2-2 General supervision of the affairs of the society between its general meetings and perform such other duties as are specified in these bylaws. 6.2-3 Selecting an active member to fill, for the unexpired term, all vacancies in elective offices except that of president. 6.3-2 Four (4) Seven (7) members, two (2) of whom shall be elected officers, shall constitute a quorum. 6.3-3 Special meetings may be held at the call of any three (3) board members provided notification is made one week in advance of such meeting, limiting action to a specific purpose. 6.3-4 In between the required general membership and executive board meetings the president may poll the executive board members by phone to secure approval of actions or expenditures. (a) Approval of actions or expenditures requires approval of a majority seven (7) members, two (2) of whom shall be elected officers, of the executive board members. (b) Any action or expenditure so approved shall be submitted, for the record, to the executive board at the next meeting. Correction to January newsletter's article on the Ansted house. 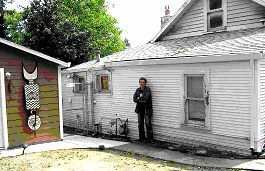 One of the nice things about running articles on some of the old Fair Oaks homes is that we often get additions and corrections regarding the history of the houses. Steve Abbott wrote to us after the January newsletter that the original owner of the Anstead home was S. I. Blanchard, not the Hausers. And, he points out that there was no railroad to Fair Oaks when the house was built, so the "stories" of it being transported by train from Folsom are probably not true. Thanks for the info Steve. George Burlingham & wife Jenny on side of the house. 1993 Fair Oaks Calendar. This old home was one of the first built on Hill Street. It was constructed without framing. The walls are made of 1”x 12” redwood and then assorted clapboard siding was used outside. The kitchen was originally on the back open porch of the house. It was later closed in. In 1910, the side addition was added. An indoor bathroom was also added on to the back porch. The house presently sits on a ¼-acre lot but originally it was a 2-acre parcel. George Burlingham, the builder and first owner, was a gold miner and he referred to the structure as a “Payday Shack”. After mining fizzled out, George went into citrus farming. He died in 1933, the year of the big freeze. He is buried in the Fair Oaks Cemetery. The present owner, Gayle Anita, said the house chose her. She first saw the house as she was driving around Fair Oaks. She though it would be a terrific little "artsy house" just right for her and her paintings. She drove off thinking she would like to someday live in it. One day a friend asked her if she would like to take care of some hawks for a friend. Gayle accepted the job and drove over to the man’s house to get instructions for their care. She was very surprised to find that the man rented the house she had seen earlier. She told him that if he were to move, she would be interested in the house. Gayle first rented the house and then eventually purchased it. There was a carriage or out building on the property next to the house. Gayle wanted to rebuild the structure and make it her art studio. Everyone she asked to do the job wanted to tear it down and build a new one. Gayle wanted to recycle the wood from it so the material would remain part of the structure. She finally found a gentleman by the name of Michael Day who rebuilt the studio as Gayle wanted. She named the studio Raven Hill. Many of Gayle’s fascinating paintings hang on the walls of the studio. Gayle lived in Manhattan, New York, for 10 years before moving out west. She was a fashion model, a singer, and an artist in her earlier years. She currently works part-time at Pacific Western Traders Gallery in Folsom. For the house, she plans on replacing the windows, rebuilding some of the house and giving it a fresh coat of paint! For more information call 916-962-1988.